1,Adopting integrated Chip as light source with high lighting efficiency (70-80LM/W) , high CRI(Ra>70), good quality heat dissipation, low light degradation. 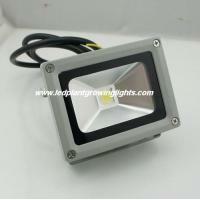 2,Aluminum alloy die cast housing, good strength, high quality heat dissipation. anti corrosion and baking varnish surface, can be for outdoor using. 3,Make a dedicated luminous intensity distribution design via the aluminum reflector, there are two options for lighting distribution, one is for focusing, another is for diffusing. 4,Wide Input Voltage from 86V~265VAC,constant voltage constant current output, can start up at once, no flicker, lightning protection, PFC function available. If special color need, pls help to contact us.